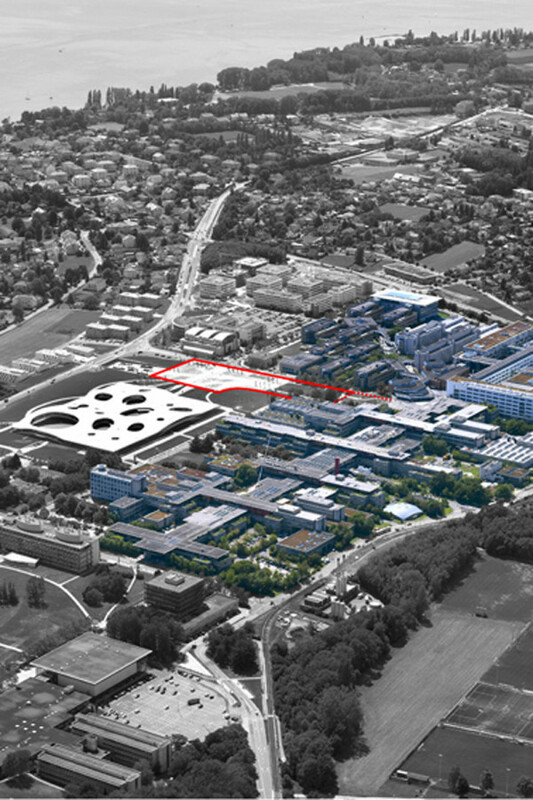 The Federal Institute of Technology in Lausanne (EPFL) aims to create a clearly identifiable entrance gate for their growing campus and at the same time connect the various fragments of the campus to one another. 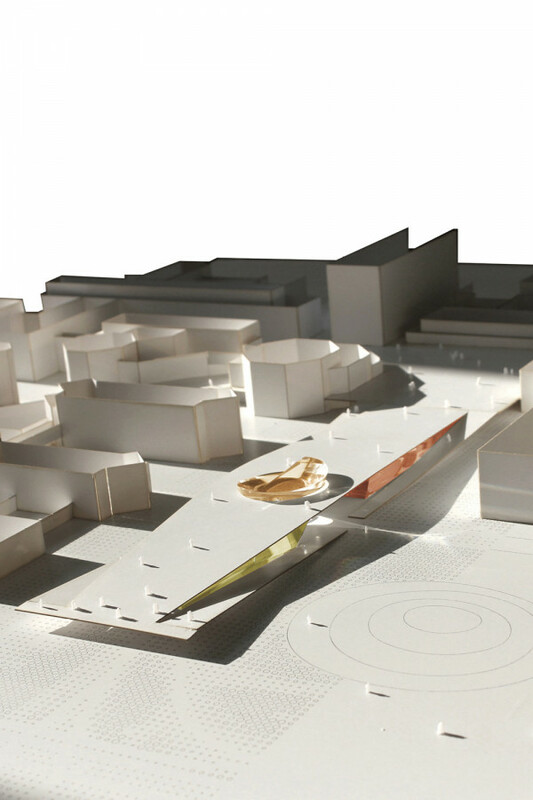 Three public pavilions with cultural functions have been proposed for the central Cosandey Plaza as part of the program at the centre of the campus. 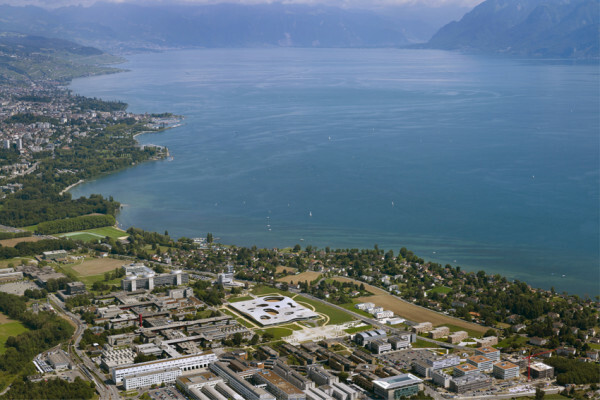 The current morphology of the EPFL campus is to a large extent characterised by the circumstances of its original formation. 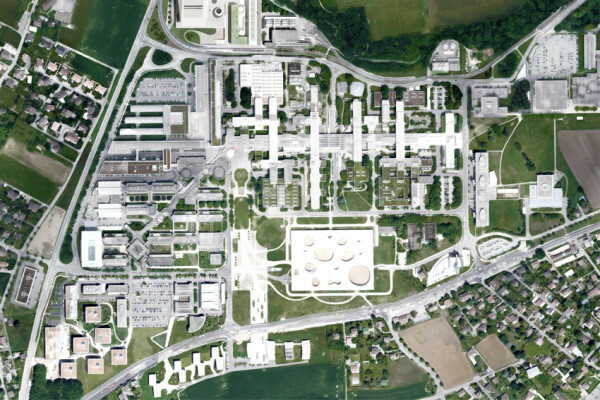 Its urban and architectural form made use of the formal and technological language of Metabolism through the development of the so-called "Meccano System" what gave the EPFL its desired identity as a Technical Institute. Unfortunately several other essential Metabolist concepts, such as the consideration of society, context and the natural environment, were not given due consideration in its implementation. Analysing the existing situation, we came to the conclusion that the spatial definition of Cosandey Plaza could not be achieved with the addition of a few artfully furnished pavilions. 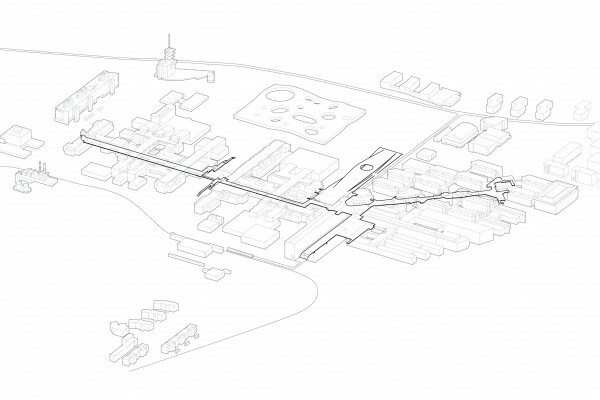 Rather, it required a structure that would successfully mediate between the various clearly identifiable urban levels present within the campus. 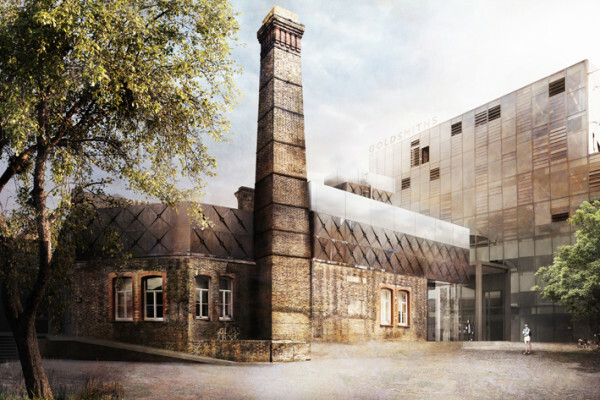 The proposed project is as much an infrastructure as a superstructure. 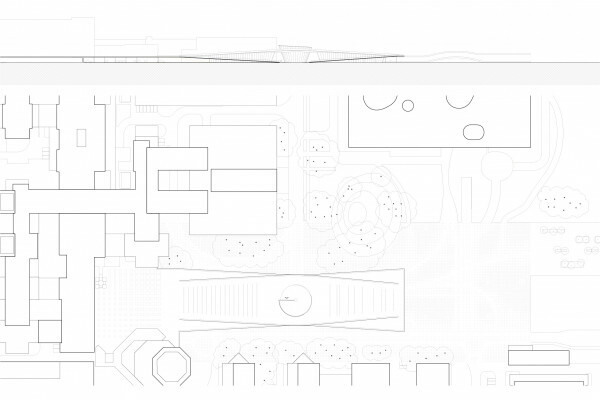 Its dialectic enables the clarification of the Campus’s topography and morphology. 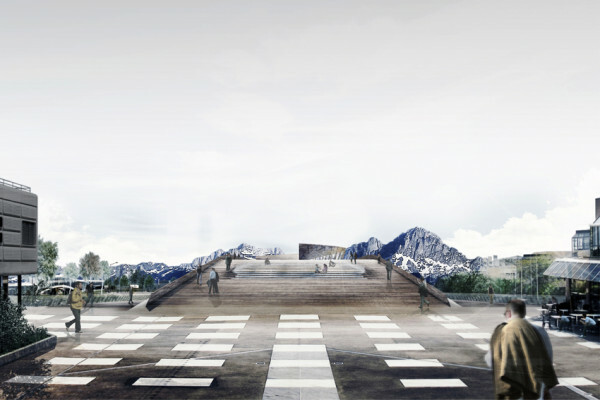 As an infrastructure, the project connects the elevated public level of the campus Esplanade with the actual terrain of Cosandey Plaza, extending this surface to form a belvedere overlooking the lake and mountains beyond. 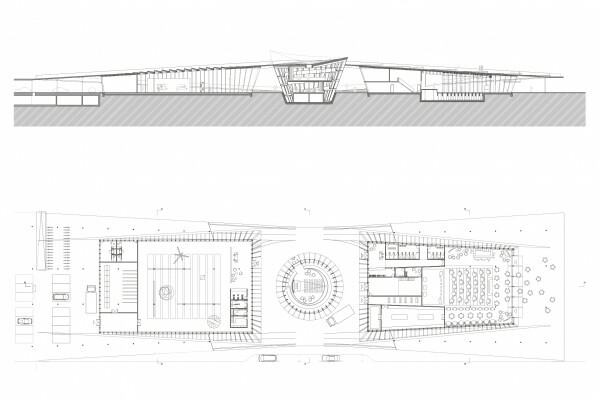 As a superstructure, the project creates the space required for the three cultural pavilions. Montreux Jazz Lab is located at the level of Cosandey Plaza, under the southern wing of the structure, while the Cultural and Artistic Pavilion sits under its northern wing. 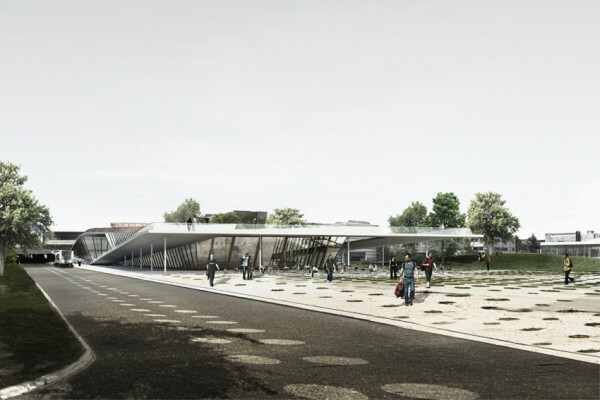 Together these two pavilions form the southern entrance gate to the EPFL campus that takes the form of a central space covered by the extended Esplanade above. The third “Welcome” pavilion is placed within this space, its vertical form emphasizing the highest point of the Esplanade. 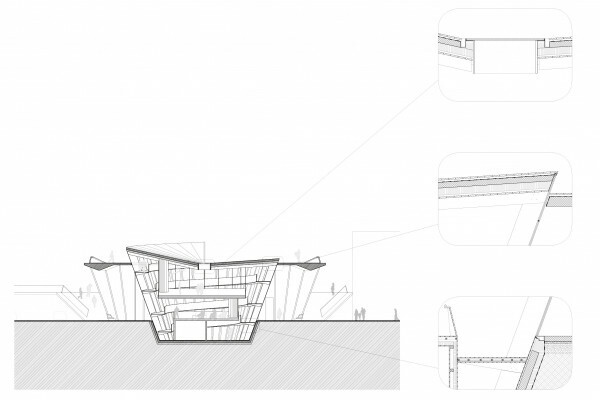 The project seeks to explore the various definitions of the word pavilion. Pavilions are often considered lightweight, open and temporary structures or show rooms within larger Exhibition halls. 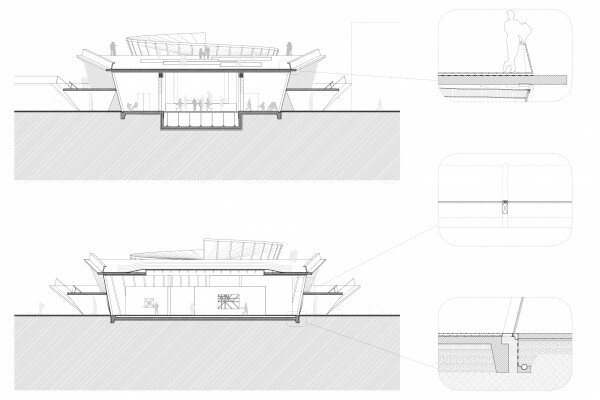 In its entirety, our project can be understood as a terrain but also as a collection of pavilions. 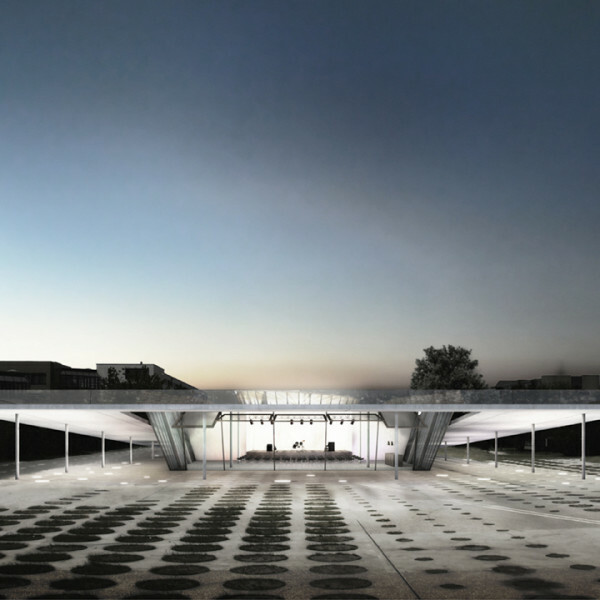 It connects the undulating Learning Center, which is in effect a contemporary, organically shaped Metabolist structure, with the original architecture of the EPFL, its "Meccano System" to create the desired southern gateway to the campus.